The next Mass Effect 3 Bounty Weekend has been announced. 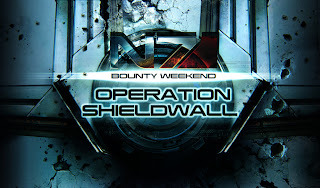 Beginning Friday, May 25th at 6:00PM PT until Sunday, May 27 at 5:00PM PT, Operation SHIELDWALL will be in effect. Here are the details of this operation. This operation will be available on PC, Playstation 3 and Xbox 360. A Vaas Wahine BobbleheadMonkey Business Single-Player QuestThe Lost Expedition MissionsHunter Pack (includes M700 rifle with three skins)Warrior Pack (includes handcrafted dagger with two tribal tattoos)Predator Pack (includes four rare predators and bows for MP)Check out the announcement trailer below. 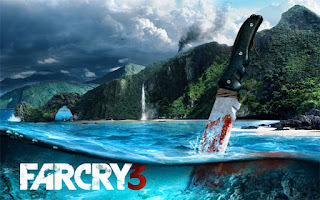 You can get you hands on Far Cry 3 and the Insane Edition when it's released this September. 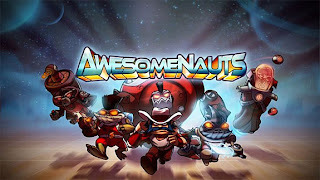 38 Studios Hit With LayoffsXCOM Delayed Into 2014Penthouse Pack Now Available for Saints RowPower-Ups & More Added to Fruit NinjaSOE Announces New ShooterGet Uncharted 1 & 2 on PSN in JuneMechWarrior Online Gets Closed BetaRed Orchestra 2 GOTY Edition AnnouncedMass Effect Infiltrator Now On Android Devices3DS Surpasses 6M Sales In JapanKinesthetic Games Announces Kung Fu SuperstarMassimo Guarini Working on New GameBlizzard Addresses Security HacksSega to Publish Ron Gilber's New Adventure GameFrom Dust Now Available On Google ChromeSF X Tekken Game-Breaking Glitch to be Patched In JuneProf. Layton & The Miracle Mask May Get Us LaunchThere you have it. New is always forthcoming, so be sure to check back regularly for updates, videos and more. 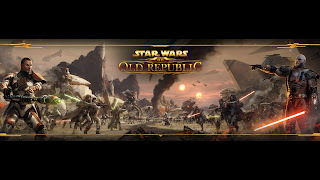 Coming from the doctors themselves, Greg Zeschuk and Ray Muzyka have posted a statement confirming that they are downsizing the development team for Star Wars: The Old Republic. 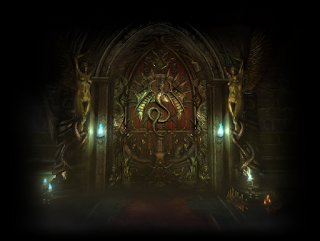 Rumor has it that the follow up to Konami and Mercurystream's Castlevania: Lords of Shadow will be announced at E3. 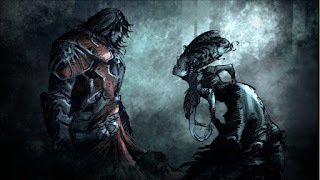 Lords of Shadow was a reboot for the franchise and based on how it ended everyone knew another game would be coming. I'd say the time is right for an announcement. So stay tuned to all the E3 coverage and be mindful that this is still just a rumor. 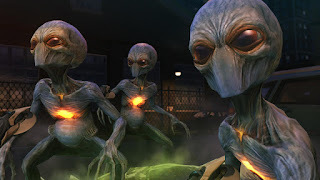 XCOM: Enemy Unknown will be released on October 9 for PC, Xbox 360, and Playstation 3 as announced by 2K Games and Firaxis. With the announcement they also announce the pre-order and special edition details for Enemy Unknown. Lets take a look at all the video game related news that we may have missed for May 21st. Payday: The Heist & Left 4 Dead CrossOver Dragon Age: Legends Will be Pulled From Facebook & Google+Game of Thrones Game Heading to FacebookCarbon Games Testing AirMech On SteamInfinite Blade II Update Drops This WeekZeniMax Trademarks "Dragonborn" for DLCDetails Emerge About Bungie's Next Big GameStar Wars: The Old Republic Patch 1.3 "Allies"Rumor: Castlevania Headed to 3DS, Debut at E3Ghost Recon Commander Hits FacebookSilicon Knights Lawsuit Isn't Worth MuchMicrosoft Refunds Minecraft SDTV GamersDavid Cage: The Industry Too Focused On ViolenceLego Batman 2 Pre-Order DLCDiablo III Accounts are Getting HackedAnother Secret Level Found In Diablo III007 Legends Coming This OctoberThere you have it. News is always forthcoming so be sure to check back regularly for all the latest updates. 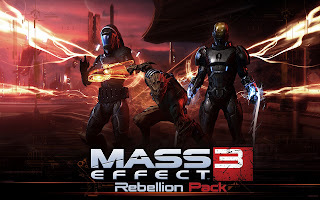 Due to the overwhelming number of fans who were disappointed with the ending to Mass Effect 3, BioWare decided to create an Extended Cut Ending. This ending would flesh out some of the holes within the current ending that confused gamers. No one has any idea how this new ending will play out, except BioWare, but now we know who will be part of said ending. Admiral Hackett, EDI and Kaiden will all be included in the DLC. Confirmation comes from their voice actors Lance Henriksen, Tricia Helfer and Raphael Sbrage respectively. You can expect to get your hands on this DLC this summer. On a side note I wanted give my impression of the overall game but I've decided to wait until the Extended Ending before I publish those impression. Although I don't think the extended ending will change my opinion too much. 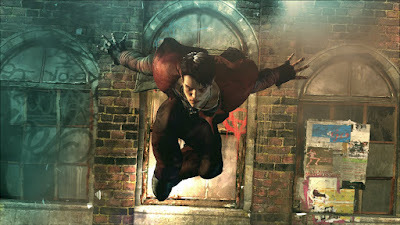 Capcom has today announced the release date for their upcoming DmC Reboot. 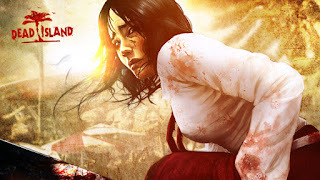 The game will hit stores on January 15, 2013; which is not their projected release window of this year as they've stated on several occasion. 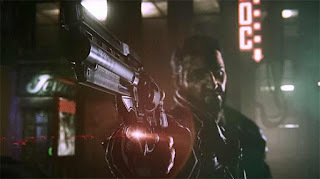 The game may have been pushed back but we can still look forward to seeing a few new bits from DmC: Devil May Cry when Capcom and Ninja Theory shows it off at E3 in a few weeks. Here's also hoping that they decide to release a demo for the game. 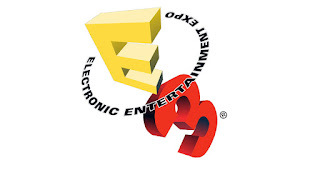 E3 is right around the corner and not everyone will be able view the different Press Conferences when their live. With both Sony and Microsoft offering some form of live stream to their conference, Nintendo has now announced several different options available so you can view their conference. On Tuesday, June 5th, you can tune into Spike TV or MTV2 at 9am Pacific Time to watch the Nintendo Conference. If you're not in the US or can't get access to a TV you can watch the conference at the Official Nintendo E3 Site, or the Nintendo @ E3 Expo Facebook app. Just two weeks to go. 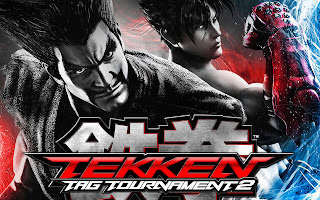 A video surfaced today showing some of the DLC characters that will be coming to Tekken Tag Tournament 2 when it's released later this year. 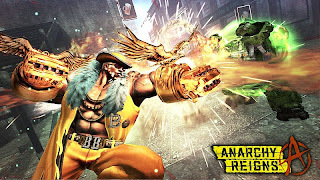 This DLC will be free, of course, according to Tekken Producer Katsuhiro Harada. In what seems a strange move, Square Enix has registered several domain names for Just Cause 4. Why is this strange? Well because Square Enix and Avalanche Studios have not said anything about Just Cause 3 apart from a few rumors. According to Fusible.com, Square registered the following domain names JustCause4.com, JustCause4.fr, JustCause4.co.uk, JustCause4.de, and JustCause4.it. This action may lead to a reveal of some kind by Square Enix and Avalanche or it could just be that Square has taken up a preemptive with these domains. It seems like every week, for the past few at least, we always start out with news that some game has been delayed. 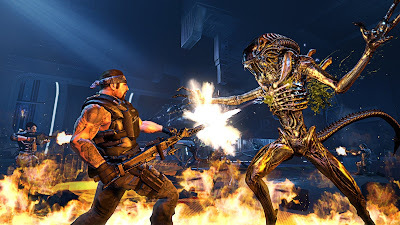 This week it's Aliens: Colonial Marines by Gearbox Software. This news coming from Sega today is quite surprising as the game was already pushed back once this year and now will be releasing on February 12, 2013. We have another good week ahead of us, although not as exciting as the last. In any case lets press on and take a look at whats on tap for this week. The weekend is over and we're one week close to E3. Lets take a look at all the video game news that dropped over the weekend. Eric Ladin, voice actor for Cole McGrath, has confirmed via Twitter that Cole will in fact be a character in Sony's upcoming beat-em up PlayStation All-Stars Battle Royale. Ladin also confirmed that Nathan Drake and Snake will be appearing in the game. Sony has officially announced these characters but you can expect them to reveal new characters soon (E3 is around the corner). After reports came out during the week about 38 Studios financial troubles, 38 Studios being the developer behind Kingdoms of Amalur: Reckoning, the studios has today paid the $1.25 million they owed to Rhode Island. It was also announced that the studio's MMO, Project Copernicus, will launch in June 2013. 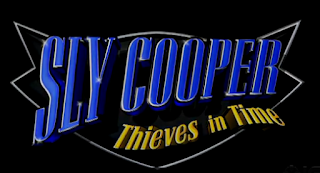 Sony and Sanzaru Games joined forces with GTTV to make some very special announcements regarding Sly Cooper: Thieves in Time. The first announcement was to reveal that Thieves in Time will be heading to the PS Vita when it is released this fall. When the game is released you'll be joined by a new playable character; the lovely Carmelita, Sly's love interest, who uses an over-the-shoulder aiming system to lock onto targets. You'll be able to Carmelita, Sly and his buddies when the game launches for the PS Vita and the PS3 on the same day. Additionally the game will allow cross-save capability allowing you to play Thieves inTime wherever you are. Now if that isn't good news for fans I don't know what is. Stay tuned for Sony & Sanzaru Games to announce the official release date. Runic, the gents behind Torchlight and the upcoming Torchlight II, will be holding a Weekend Stress Test. 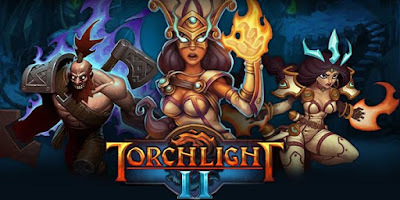 Torchlight II currently has a beta going but Runic wants to expand this so that they can see how their system handles a heavy load. So for this weekend beginning on Friday, May 18th at 11:00am PDT and running until Tuesday, May 22nd at 11:00am PDT you'll be able to access and play the beta as long as you have a Runic Games Account. Having the account is the only way to receive the beta invitation. If you're not signed up head over HERE to do so. It seems there are several events happening this weekend, which is going to make it a busy one for some people. Being a fan of Torchlight I'll have to pry myself away from Diablo III to give this a go. Lets take a look at all the video game related news we couldn't get to for May 17. Shall we. New Tales Game to Have a Darker ToneVostok Games Working On Multiplayer-Focused GameRayman Origins Demo Now Available on 3DSDUST 514 Closed Beta Now OpenEpisode 1 Of The Walking Dead Hits 1M DownloadsLEGO Batman 2 Takes a Que from Arkham CityDiablo III's Real-Money Auction DelayedRumor: Rare Working on Next-Gen FPS TitlePS Vita Game Incoming from Burnout DevsNASCAR The Game Announced for 2012Diablo Players Discover A Secret LevelHBO Go On 360 Now Available to Time Warner UsersMetal Gear Solid HD Gets June Release DateNew Black Ops II Trailer to Air During Champions League FinalsFree Max Payne 3 DLC out Now On PSN & Xbox 360Dead Island 2 Rumors DeniedSony Registers "Forsaken Souls" DomainInSane Has Not Been Cancelled States THQThere you have it. News is always forthcoming so check back regularly for updates. The wait for Diablo III was long and grueling. Blizzard gave games a taste while they waited but that did nothing to sedate their longing. When the game was finally released they were happy, that didn't last long. Many players were struck with error messages; the most notable Error 37, which I myself had the pleasure of meeting. As a result of these errors Blizzard has taken it upon themselves to issue an apology to everyone. Ubisoft is giving console players the opportunity to experience Far Cry 3's multiplayer with a beta that will take place over the summer. The MP beta will be a two week affair and will give players access to six classes, 16-player matches, dozens of weapon, a plethora of customizations and upgrades, and access to several maps and modes. The catch is, Yes there is a catch, you have to purchase Ghost Recon: Future Solider, be a GameStop PowerUp Rewards Member and enter the code you receive before you can get access to the beta (via email invite) once it goes live. Images showing off the next iteration of the Unreal Engine have made there way to the web and they are something to behold. Unreal Engine 4 was shown off to a limited viewing during GDC 2012 and was praised for it achievement--these picture are from said viewing. The public will have to wait until E3 to get a look at what Epic has in store for UE4, until then here's an article that gives you an idea along with the screens. I already think UE3 is powerful and going by the article it seems UE4 is years before its time. Just another reason to look forward to E3 2012. Gearbox Software and 2K Games have officially announced today that their upcoming game Borderlands 2 will get two different Special Editions (which you already knew was coming if you went to their PAX East panel). Borderlands 2 will get the Deluxe Vault Hunter's Collector's Edition and the Ultimate Loot Chest Limited Edition. 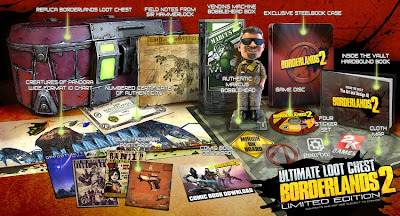 The Deluxe Vault Hunter's Collector's Edition ($99.99) includes a copy of Borderlands 2; authentic Marcus Kincaid bobblehead; inside the Vault: The Art & Design of Borderlands 2 hardbound book; collectible sticker set; map of Pandora; digital comic redeem code; and bonus in-game digital content. The Ultimate Loot Chest Limited Edition ($149.99) includes everything just mentioned plus a collectible scaled replica of the red loot chests found in the game; steel book case; Creatures of Pandora wide-format ID chart; lithograph postcard set; field notes from Sir Hammerlock; cloth map of Pandora; and a certificate of authenticity. BioWare is hoping to enlist a few new recruits (anything to keep them away from Diablo III) for Star Wars: The Old Republic. 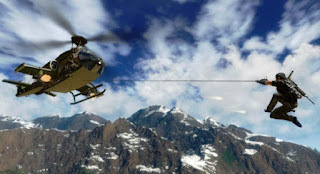 They are offering a Weekend Pass Free Trail that lasts for 4 days beginning Thursday, May 17 at 12:01AM CDT (5:01AM GMT) through Monday, May 21 at 2:00AM CDT (7:00AM GMT). Lets take a look at all the video game journalism news that came out for May 16th. Shall we. Square More Focused on Future FF GamesNew Characters Added to Project X ZoneDiRT Showdown Pushed back to June 15 for Consoles38 Studios owes 1.2M to Rhode IslandActivision & EA Reach Settlement Over Call of DutyDownloadable Content Headed to Tony Hawk Pro Skater HDRespawn Skips E3GTA V Vehicles spotted on Max Payne 3's Source CodePS3 & 3DS getting Lost Plant Spin-offUbisoft Profits Up $47M as a Result of Digital SalesLionhead Studios Working on Next-Gen MMOZenimax Sends Warning to Dragon Shout App CreatorPvP 'Conquest' Mode Headed to RiftNew PS Vita Brain Training GameSteam now Offers Remote Downloads via Web or AppBioWare Taking Suggestions for Dragon Age 3Mirror's Edge and Bad Company 3 mentioned on ResumesThere you have it. News is always forth coming so make sure you check back regularly and also check out the Video Roll and Web of Games for more news. 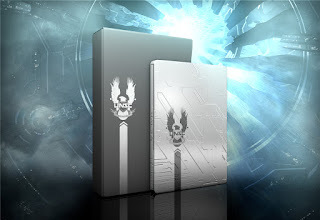 343 Studios has announced that Halo 4 will be getting a Limited Edition bundle that is available for pre-order today. 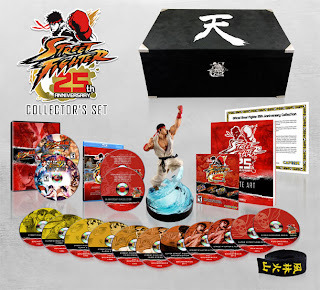 They also announced that there are no plans to release a Legendary Edition. This news comes after fans pieced together the puzzle to reveal the Halo 4 Box art a few days ago. 343 Studios also mentions that you can expect to see more from Halo 4 at E3 in 3 weeks. It seems that Mass Effect 3 is getting more multiplayer content. According to Kotaku a Sony Hong Kong site revealed the new multiplayer pack call "Rebellion". The Rebellion Multiplayer Expansion opens two new fronts against the Reapers: Firebase Jade's jungle reservoir and Firebase Goddess on Thessia. In-game reinforcement packs now include three new weapons as well as equipment, consumables, and six new classes: Quarian Engineer and Infiltrator, Vorcha Soldier and Sentinel, Phoenix Adept and Vanguard. The battle continues – hold the line!There's no word when this multiplayer pack will be making its way states side. Do players wanted more multiplayer DLC? or do they want BioWare to release the extended ending? Lets recap all the news is video game journalism that we missed for May 15th. 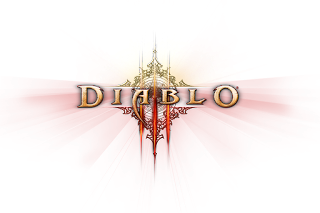 Many Diablo III Players Hit with Error 37 MessageAugmented Reality Pokemon Hunting Headed to 3DSCapcom Rethinking DLC PolicyDevil's Third from Valhalla Game Studio On HoldActivision Sued Over Delta Force TrademarkRumor: Guild Wars 2 Coming June 28thSouth Park Game Delayed to 2013Death Rides on August 14 (Darksiders 2)BBC Sport TV App Headed to PS3SF X Tekken Sales Take A Hit Due to Crowded MarketArkham Asylum Map Makes its Way to Gotham City ImpostersSeveral PSP Titles Now available on the PS VitaMetro: Last Light Countdown AppearsNew Enemies Reveal from Halo 4 PackagingThere you have it. News is always forthcoming, so make sure to check back regularly and check the Video Roll and Web of Games for everything else.